It may look trifle on the face of it, but pain is a major problem for mankind. Both types of pain – chronic pain and pain that arises from accidents – are widespread and every year billions of dollars are spent on pain management. Pain affects life in a very negative way and hampers quality of life. Scientists are in pursuit of an effective pain treatment since long and as a result of their constant efforts, two electric devices have been invented that seem to be quite effective solutions to the pain problem. These are Transcutaneous Electrical Nerve Stimulator or TENS and Electronic Muscle Stimulator or EMS. Both of them treat chronic as well as acute pain, but they have some major differences in their working. While TENS acts upon nerves to achieve pain relief, EMS targets muscles for the same purpose. TENS massager sends electric currents of mild intensity to the skin because of which nerves are stimulated and pain is relieved. TENS offers immediate pain relief. TENS units usually feature dual channel use because of which users can easily change their settings. EMS sends mild electric currents to muscles to contract them and thereby brings about pain relief. Pain relief through electric current might seem a new concept, but in fact it is quite ancient. It has been reported to Claudius by a court physician in ancient Rome that pain can be alleviated by standing on an electric fish. Even in modern times, Benjamin Franklin was known to use electricity to get rid of pain. While both TENS and EMS are designed for pain relief, it has been found that TENS offers quicker and superior pain relief. Its customizable settings offer added comfort. EMS is great for treating atrophy in concerned muscles and improves blood circulation. A TENS unit provides relief only up to sensory level and not by contracting muscles. Therefore it can be used for both chronic and acute pain. As it doesn’t force muscles to contract, muscles are relaxed and TENS unit can help body in secreting endorphins – the natural pain relievers. Because the body secretes more amounts of natural pain relievers like endorphins, the relief brought by TENS is sustained. 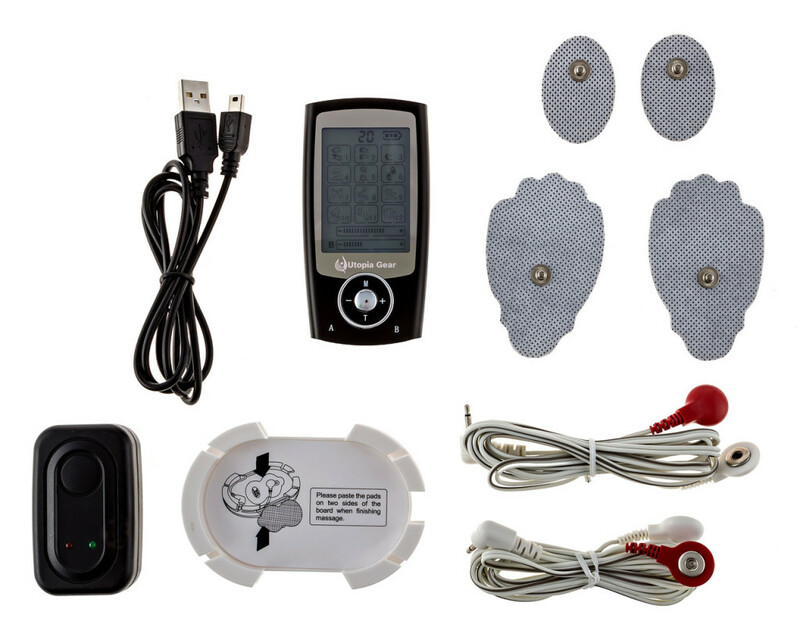 Utopia Gear has brought the Massage Pro 3.0 which is a dual channel combination of TENS and EMS and is extremely popular throughout the world amongst physicians and chiropractors. It sends electronic pulses to the nerve endings which makes muscles contract and circulation increased. According to researchers most pain are caused by inflammation and increasing circulation in the affected area is one of the most helpful ways to decrease inflammation. The Massage Pro 3.0 features two inputs, enabling 4 pads to work at a time but at varying intensities. 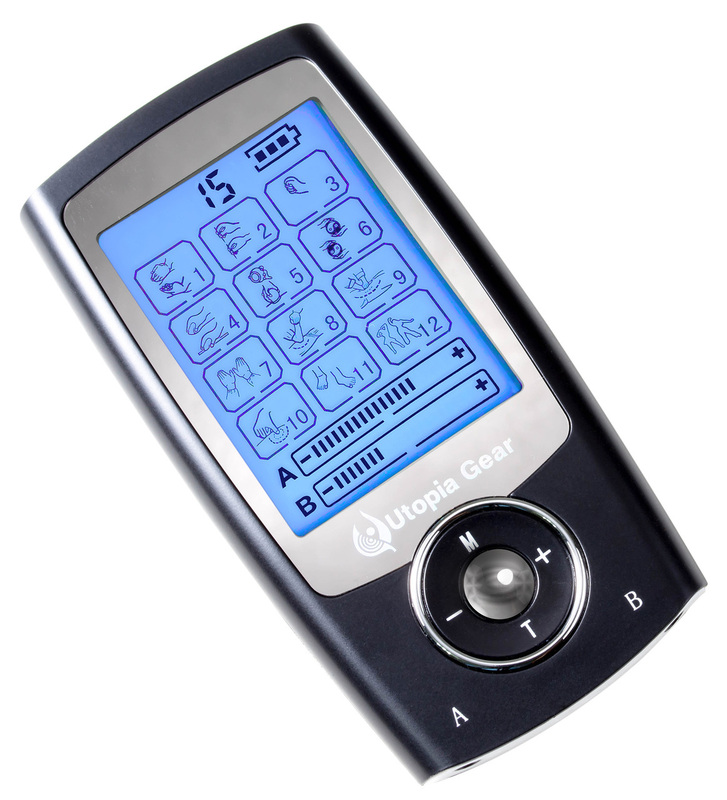 Enter code 25off for the best portable tens unit – Massage Pro 3.0. 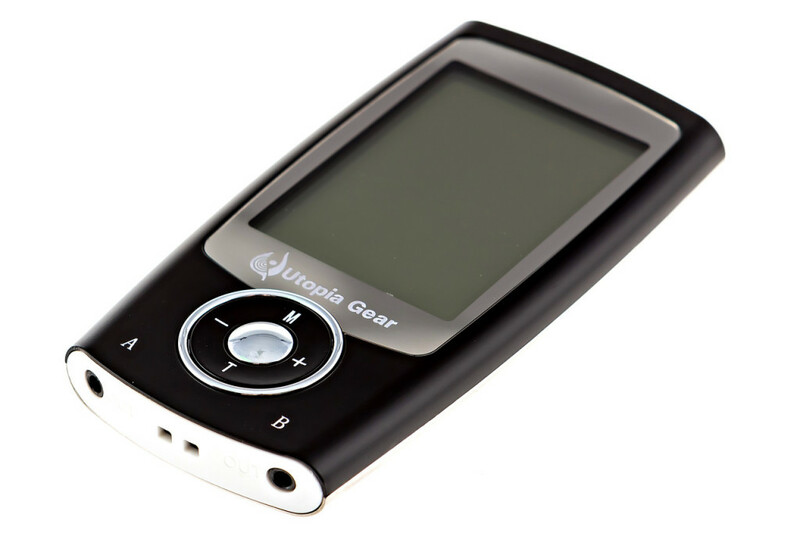 The images in this article are of Massage Pro 3.0 which is today’s best portable TENS unit.